We've seen and written a lot lately about the resurgence of catalogues (not surprising really, given we are a catalogue design company!). The Multichannel Merchant Outlook 2014 study last year gave even more credence to the proposition that catalogues today continue to be a strongly relevant medium. In the September 2014 issue of Multichannel Merchant magazine, Daniela Forte noted (as we have elsewhere) that the US catalogs role is changing from being a transactional tool to a sales tool. On a scale of 1-10 , catalogs rated 8.25 for both mobile traffic drivers and customer retention tools; at 7.85, being a web driver was a close third. The number one request of an online pure-play is "do you have a catalog?" 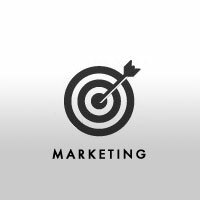 Of interest was an observation from Gina Valentino of Hemisphere Marketing that the number one request of an online pure-play is "do you have a catalog?" Pretty persuasive, we think. For many, like cataloger Ross-Simons, though the role has changed, the catalog looks substantially the same as it did several years ago, but with web drivers on each spread. For others, however, the transition from transactional to sales tool puts the US catalogs firmly on the same strategic footing as many Australian retail driving catalogs. 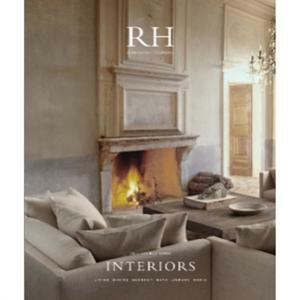 The "look book" direction chosen by Restoration Hardware and One Kings Lane is indicative of this. 52% planned to increase circulation while 22% will decrease. (only use a QR code) "if it links to something useful or interesting..."
We are often asked whether it's useful to include QR codes in our catalogues. Our response is "only if it links to something useful or interesting for the customer". With that in mind it comes as no surprise to us that over 55% of respondents include QR codes as a way to add further richness to the contact with the customer. Almost all of those use QR codes to drive to a specific website product page while 20% drive to video to better showcase their product or service. Perhaps this could be explained by the fact that the US Postal Service offered a special discount for those who placed a QR code on the back cover! That aside, if you are wondering why there are so many new entrants into the Australian catalogue scene or why those that use catalogues continue to do so, they are not alone. The original article "Catalogs Settle Into A New Role" was published in the September 2014 issue of Multichannel Merchant.